Rauwolfia is an erect herb with a smooth stem. The drug consists of the dried roots with their bark intact, preferably collected in autumn from three or four-year-old plants. Rauwolfia is indigenous to India. The trade name rauwolfia refers to a 16th century German botanist and physician, Leonard Rauwolfia. This plant is believed to have been used in Indian system of medicine for about 4,000 years. It has been mentioned in Charaka's work. Its roots have been valued in India and the Malayan peninsula from ancient times as an antidote for the bites of poisonous reptiles and insects. It is also used as a febrifuge or fever-relieving drug. This herb was introduced to the modem system of medicine by Dr. Ganpath Sen and Dr. Kartik Chandra Bose, renowned Ayurvedic physicians of Calcutta.! Based on their studies they found that the roots contain several alkaloids, the more important being two chemical classes known as the ajmaline and the serpentine group. The quantity of the total alkaloids has been estimated to be fairly high in the dried roots.. The roots also contain a lot of resin and starch and when incinerated, leave an ash consisting mainly of potassium carbonate, phosphate, silicate and traces of iron and manganese. The herb is an effective drug in lowering blood pressure. II is also used to reduce fever. During delivery, it is said to stimulate uterine contractions and promote the expulsion of tile! foetus. This however, is not corroborated and, maybe regarded! as a floklore. The plant is effective in treating insanity. It is popularly' known as pagal-ka-dawa, a medicine for insanity. It is sold in some parts of India, specifically Bihar and V.P., under this name! and is commonly used by practitioners of the indigenous system/ of medicine. One gram of the powdered root can be taken twice a day with 250 ml of goat's milk, sweetened with sugar candy .Everyone suffering from insanity will not however be benefited by rauwolfia, except those extremely irritable patients with strong!! physique. Lean, weak and melancholic patients should have their blood pressure examined before the treatment and if found abnormally high, rauwolfia can be tried. As such it is unsuiL1~elm for those with a low blood pressure. The herb is effective in treating insomnia because of in sedative properties. Consequently, the drug is apparently abused by the poorer classes in Bihar, who administer it to infant to induce sleep. The very first dose of rauwolfia enables the parent of a phlegmatic and gouty nature to go to sleep. About 0.60 w 1.25 grams of the powder of its root is mixed with some scented vehicle and taken. It is non-stimulating and should be given in doses of 0.25 grams to the patient at bedtime for sound sleep, A chronic patient should take 0.25 grams, both in the morning! and at night before retiring. Rauwolfia is the best remedy for high blood pressure, andit has been adapted by medical fraternity in most countries especially American countries. Those alkaloids which have a direct effect on hypertension, have been isolated in it and are widely used by the practitioners of modem medicine. But they have certain unpleasant side effects which the drug taken in its raw form, does not have. 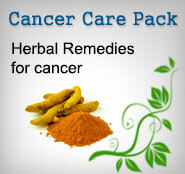 Practitioners of the Ayurvedic medicine have preferred to use its root in a powdered form. Half a teaspoon of which taken thrice a day is effective in relieving hypertension. Rauwolfia is also very effective in treating hysteria. 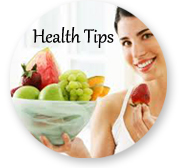 One gram of powdered root can be administered thrice with milk. Treatment should be continued till a complete cure is obtained. Rauwolfia relieves itching in urticaria. One gram of powdered root can be taken with water. Where to Buy Sarpagandha Powder?